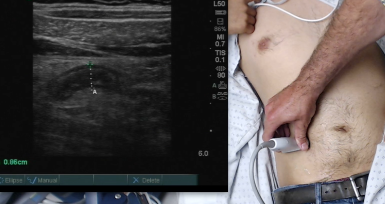 This video shows a case of acute appendicitis we picked up on ultrasound rounds. For better resolution try this link. If the patient has focal tenderness, BMI does not necessarily make the us diagnosis of an appy more difficult. If the there is NO focal tenderness, well that is tough in large BMI patients. We found the appy in this patient in the first 30seconds of scanning.